One of the hottest developments to hit the smart home market has been smart doorbells. Let’s just say it – a smart doorbell is one of the most exciting smart devices ever and really adds that cool factor to your home. Over the last 2 years, the humble doorbell has had a total makeover, taking on tasks that were hitherto the reserve of significantly more expensive security cameras. The inherent advantage a doorbell has in becoming a smart video enabled device is the excellent vantage point. The doorbell is typically at the right height to get a clear face shot of anybody who shows up at your door. They are also then in good proximity for 2-way audio. So you could answer your door as if you were at home, but without being at home! This is what a good smart video doorbell should be able to do. The experience should be so seamless that it should never occur to your visitors that you may actually not be in the house. What better way to scare of potential intruders casing your home and checking whether someone is at home. I spent days researching and reviewing the dozens of smart doorbells on sale in 2018 to find out which ones are worth your hard earned money and which ones you should avoid. If you are not sure about a smart doorbell, I also suggest checking out my recent round-up of IP security cameras with audio features. 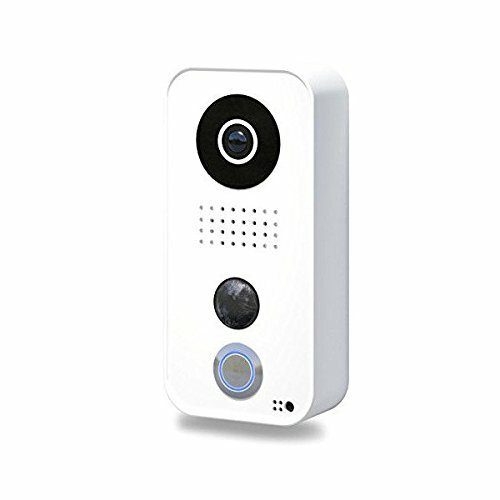 These are often a great alternative to a smart wireless video doorbell. Field of view – Measured horizontally, it should be at least 90 degrees. This depends on the focal length of the camera lens. Weather proofing – Good doorbells will have an IP rating which indicates its resistance to water ingress. 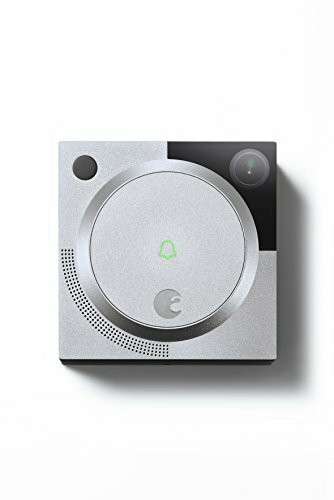 Worth getting one with a rating as then you know your smart doorbell won’t fail in a particularly bad storm and become a very dumb and very dead doorbell. Local storage – in the form of a microSD card slot, or internal flash storage is very desirable because it means you don’t need to necessarily pay for a cloud storage subscription. Software features – Live streaming capability is pretty much standard these days but the continuous recording feature is not. Email alerts on motion detection are essential, push notifications to smartphone app is ideal so that you know as soon as somebody is at your door regarldess of whether they actually push the button. Cloud reliance – ideally not reliant on the cloud for operation, mainly because it introduces lag into your conversation. Preferably RTSP stream capable so that you can use 3rd party applications such as tinyCam Monitor Pro. ONVIF support is ideal as it means it can interface with hoem automation controllers such as my Vera Plus, and my existing DIY home NVR security system. It also has an Ethernet port which supports Power over Ethernet (PoE 802.3af Mode-A) so is the perfect choice if you want to add a video doorbell to your existing standards compliant CCTV system (Synology or QNAP NAS/Hikvision NVR, BlueIris etc.). The camera is only 720p which is only average, however it has a hemispheric lens which provides a brilliant 180 degree field of view just like the Skybell video doorbell. The vertical field of view is also a very good 90 degrees. 12 InfraRed LEDs provide very good night vision with a true IR cut filter. Two-way audio is standard along with noise cancellation and echo reduction features. On the communications front, it has WiFi, Bluetooth (optional) and uniquely an RFID system using a 433 MHz transceiver. This adds compatibility with Volkswagen, digitalStrom, Control4, RTI, Elan, URC, Nuki, and Zipato. It also has its own API which should be of interest to home automation fans. The Zmodo Greet can call you on your smartphone when someone presses its bell button. It can also send you a 30 second video clip if it detects motion in front of the doorbell. The 155° horizontal angle is excellent and should make it very difficult for someone to dodge the Zmodo Greet. The downside is that it has only a resolution of 720p, whereas the Ring Pro has a better 1080p resolution. It has infrared LEDs for night vision with a rather limited range of 10 feet. It does however have a true IR cut filter. A light sensor lets the camera automatically switch to night mode when the sun sets. Two way audio communication is possible thanks to the integrated microphone and speaker combo. Interestingly the Greet has local storage in the form of 8GB internal memory. The ZModo Greet is weatherproof and has an IP rating but it is only IP51 rated – the 5 in IP51 means the Greet has limited protection against dust ingress and the 1 in IP51 means it is protected against vertically falling drops of water or condensation. Translation: the weather proofing is not great but its a start, it should be fine in a semi-sheltered porch. 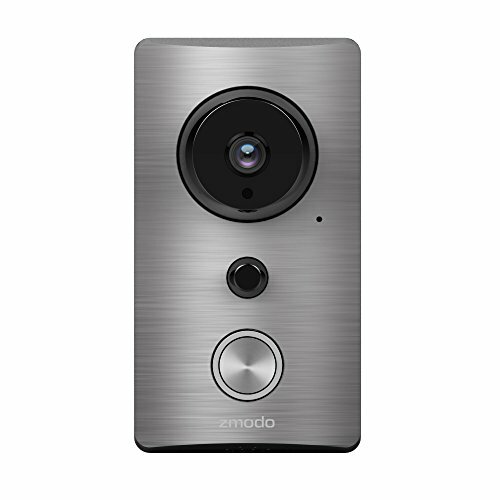 The ZModo Greet is the only half-decent smart video doorbell that I could find which is not crippled into relying on the cloud for basic operation. The camera makes a direct encrypted P2P connection from to your smartphone. Its internal 8GB flash storage means video clips and images are stored locally instead of a remote location. The Ring Video Doorbell Pro is the latest model in the Ring family of doorbells and was launched in March 2016. It is dependent on a power supply. It differs from the standard Ring WiFi doorbell in that it doesn’t have a battery but has an upgraded 1080p sensor. It can also send you motion detection alerts to your email or smartphone if it detects motion in front of it. However it cannot record video continuously. 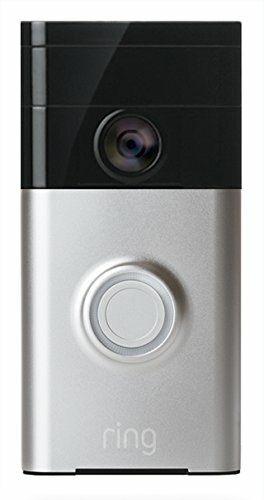 I do not recommend the original Ring WiFi doorbell because it works only on an internal battery and is limited to a 720p resolution. One point to note is that Ring doesn’t claim any weatherproof rating for its doorbells, which is one of my biggest bugbears with their video doorbells. The company seems to have been overwhelmed by the incredible popularity of its products, with customer service being less than stellar of late. The Skybell is one of those rare products that is designed and manufactured in the USA. California to be exact. For many, that itself is a great advantage when buying a tech gadget. 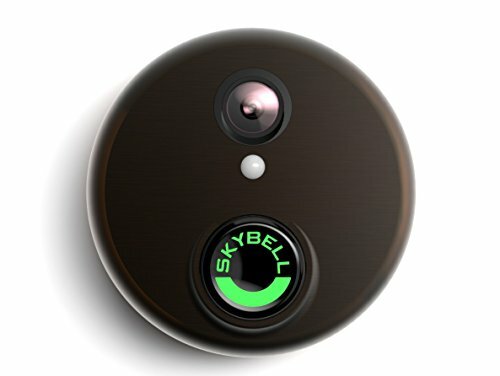 The Skybell HD is a very small unit at 2.8 inches across and just 0.9 inches deep. It is a straight replacement for your existing wired doorbell if it uses a transformer. It comes with a mounting plate, so it is quiet easy to install to any surface. The camera of the doorbell can do upto 1080p Full HD video, which is very good. It also has a class-leading 180 degree field of view. It has the standard features you would expect such 2-way audio using a microphone and a speaker. It has a unique multi-colour bell push button that can do 16 million colours, a nice personalisation touch to make your doorbell truly yours. Additionally it has a real PIR sensor which should aid massively with motion detection. Alas the doorbell doesn’t have true night vision because it doesn’t have Infrared LEDs. Instead it has a standard white LED light to light up the person in front of the doorbell. This is fine if its a person standing right in front of the doorbell, but limited by the 15 feet range of the PIR sensor for triggering an alert at night. It doesn’t have a local storage option such as an SD card so all video is routed through their cloud servers. This means you need a decent internet connection with an upload speed of at least 1.5 Mbps. The Skybell HD has an IPX4 weather proof rating, which means it is not rated for solid ingress but is protected against splash water from any direction. It is claimed to work between -40 and 140 degrees F.
A visitor presses the bell button and you get a call on your smartphone. A visitor doesn’t press the button, but the PIR motion sensor detects motion and alerts you. Live view – you can check in any time to see what’s going on at your front door. How about compatibility with home automation? It supports IFTTT, Alexa, Nest and many other home automation protocols and controllers. Vuebell is a brand owned by the Chinese manufacturer, Netview Technologies (Shenzhen) Co. Ltd. They have been in business since June 2010 and their camera are sole on Amazon and HomeDepot. The Vuebell consists of an outdoor unit and an optional indoor chime unit. At just over 3.1 inches x 3.1 inches, the Vuebell’s outdoor unit has a very attractive design and looks very much a premium device. It is smaller than the standard video doorbell. Even so, it sports Infrared LED lights, a microphone, a speaker, and a Passive InfraRed (PIR) detector. The video sensor has a max resolution of 720p which is about par for video doorbells but has an outstanding 185 degrees field of view. You can get a live view on your smartphone whenever somebody presses the doorbell, when the PIR detects motion within its range of 3 metres or you can simply check in any time to watch. It can send you motion detection alerts and save clips on either a micro SD card or on the free cloud storage account. The outdoor unit of the Vuebell is very easy to install as it is a straight replacement for your existing hardwired doorbell. It just uses your existing hardwired doorbell transformer. The indoor unit is a great touch and has a range of chimes. The chime volume can be adjusted and can be very loud if you need it to be. There are several disadvantages but the biggest one is the lack of a weather-proof rating. The optional cloud service is based on Amazon Web Services and costs $2 per month which is the lowest I have come across. Use the VueBell HD live-view to see, hear, and talk whenever you want, wherever you are. Day or night thanks to the infrared night-vision function. Get real-time push notifications and snapshots when visitors ring the doorbell or when the motion detector is triggered. 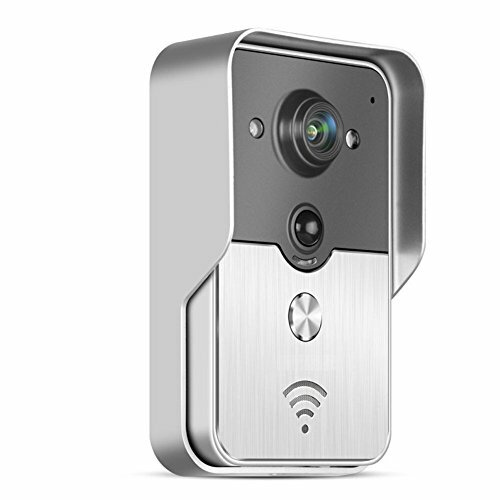 The August Wi-Fi Video doorbell was one of the first smart video doorbells to hit the market. So its features now look a bit dated compared to the latest gen models such as the Ring and Skybell doorbells. It is designed to work with the optional Smart Lock so that you can answer the door and then unlock it if desired. 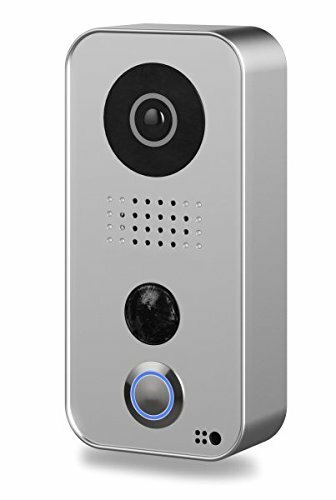 With its smart industrial design and sleek looks, it won over many looking for a stylish and smart video doorbell. 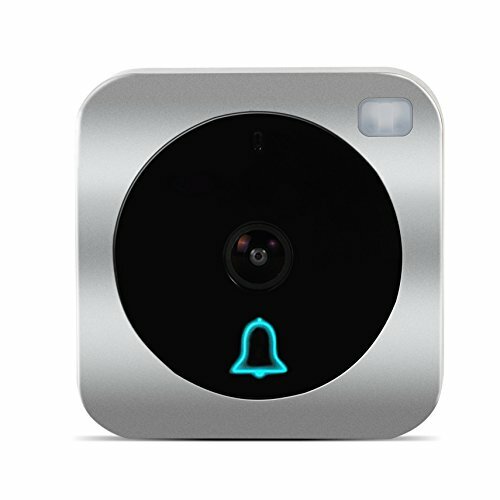 The August Wi-Fi Video doorbell was selected by Fortune magazine as the Best Doorbell. However I find that very strange because it doesn’t have Infrared LEDs, it relies on a standard white LED for lighting the scene at night. This is fine for lighting up somebody right in front of the camera but in the absence of a PIR motion sensor, makes the camera very poor at detecting motion in the night. The Powerlead Wi-Fi doorbell is a 720p video doorbell that is definitely from one of the lesser known brands. It does have all the features you would expect it to have – InfraRed LEDs for night vision, photo-resistor for day/night mode auto-switch, Wi-Fi, a microphone and speaker. It doesn’t look very great though and the bell button itself is not very prominent. I wouldn’t recommend this camera for a novice, but if you are looking for certain features such as the ability to work with a smart lock, this might be a good choice for you. There are dozens of smart video doorbells that I researched and rejected before arriving at the list above. Since these are products aimed at the mass market, most of them are designed as if you will not have any other smart device in your home. This is simply unacceptable as more and more homes are getting smarter with a multitude of smart devices that all need to communicate with each other. This is why I always check whether a product can work locally without cloud reliance and supports industry standards such as RTSP or ONVIF. So the smart doorbell market has some way to go before it catches up with proper security cameras when it comes to integrating with a smart home. But now is as great a time as any to get your toes wet. So please let me know which smart doorbell you are going for, I would love to hear from you! I’m the developer behind tinyCam Monitor Android app and just found your article. The next update of tinyCam Monitor will add support for 2-w audio and RTSP for DoorBird into the app. Thanks for the info, I am a big fan of your app and recommend it all the time! Any input on the dbell HD live (dbell.ca)? It does ONVIF but reviews are hard to come by. Sorry I have no experience with this camera. I will try to get a review done. Any review of the dbell HD Live and how it compares? Hi, I have recently built a new home and I wired cat 5e cabling to each floor so that I could put lcd displays to connect to a video doorbell. As you know, the doorbell camera is ever evolving at present and I quite like the idea of adding wifi calling to this function. But I haven’t seen an option that allows both fixed wire (is this RJ45 cabling?) and wifi calling. Which set-up would allow me to connect 4/5 fixed lcd screens as well as having the ability to call remotely to a couple of mobiles? Good to see your blog, and I thought, I will get a good suggestion from you, and hence this mail. Hope you will share your opinion. I have a typical problem for my house. I need a good Video doorbell for my home. I found some very good like SKYBELL Trim Plus which I thought is feature rich and value for money. But again it is having it’s own short comings which are must for me. Let me explain my requirements. 1. We are 3 members in my house. Myself, wife and my mother aged 82. I am pretty well sure my mother cannot operate a smartphone, and installing a SKYBELL or any other similar product will be useless for her, and again she has to rely on the traditional, open the door and see or talk to the one at the door. 3. 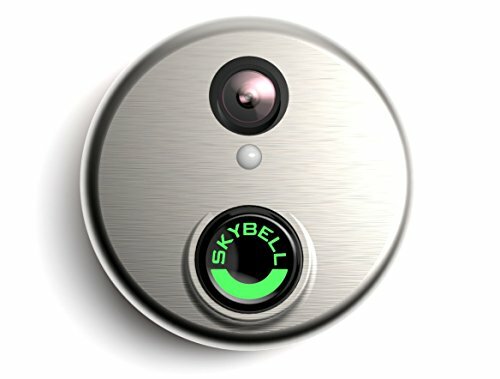 My requirement is simple, I would like to have the features of motion activated/bell activated video recording along with a live stream of the person at the door on a small (say a 7 inch) monitor(just like video door phone monitor) in addition to the features of SKYBELL Trim plus (Smartphone controlled). And of course no monthly fee. If required I can use NVR to record the images/videos. One such product I found with these features is Panasonic VL SVN511EX, but I presume it cannot record automatically on presence of motion. I think taking of photos is manual in this model. Keeping in view, my requirements, can you suggest a good product. I see that there is a Hikvision under several OEM names out now, Uniden U-Bell Video Doorbell-DB (Homedepot), NSC-DB1 Onvif Compatible Wifi Doorbell, Hikvision Doorbell Wifi Camera – DS-KB6003-WIP to name a few. Have you tried this one yet under any of the OEM names? The Ring Video Elite offers RJ45 ethernet port / POE. It is overpriced at $499, but I would like to see that one reviewed next time.